Teapot and cover of soft-paste porcelain painted with enamels and gilded. 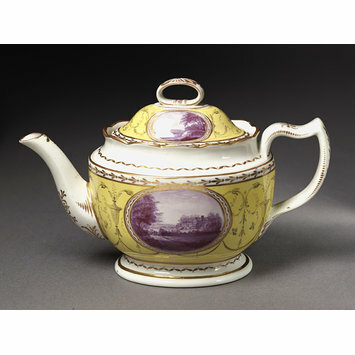 Landscapes in medallions set in a yellow ground on which are slight ornaments in purple. Gilt borders. 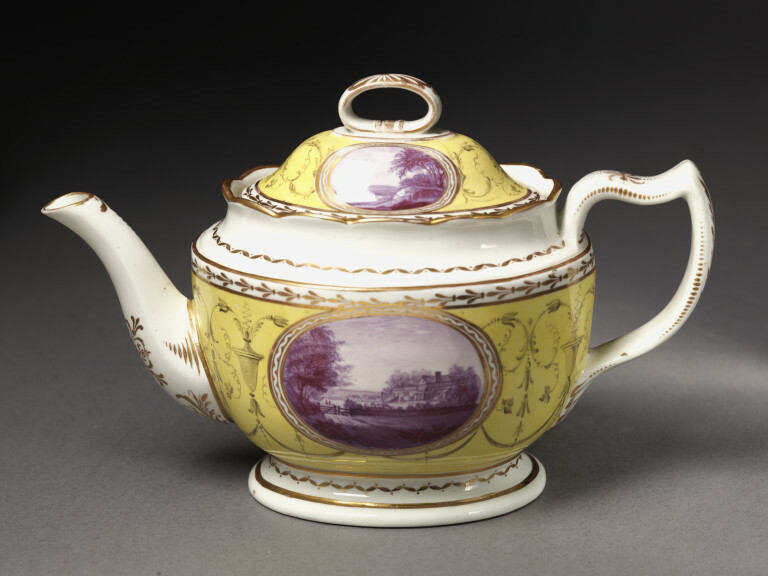 Teapot and cover of soft-paste porcelain painted with enamels and gilded, Pinxton Porcelain Factory, Pinxton, 1799-1801, painted by William Billingsley at Mansfield.